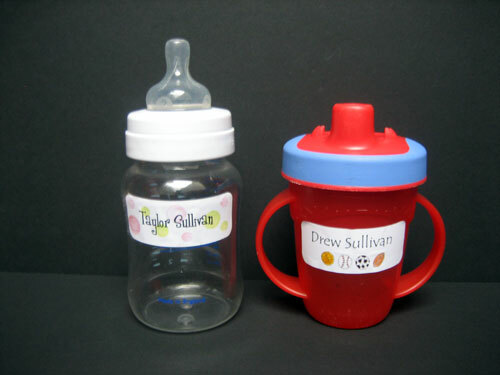 For sippy cups, bottles or tupperware. Dishwasher Safe. Design is usually placed beside the name.